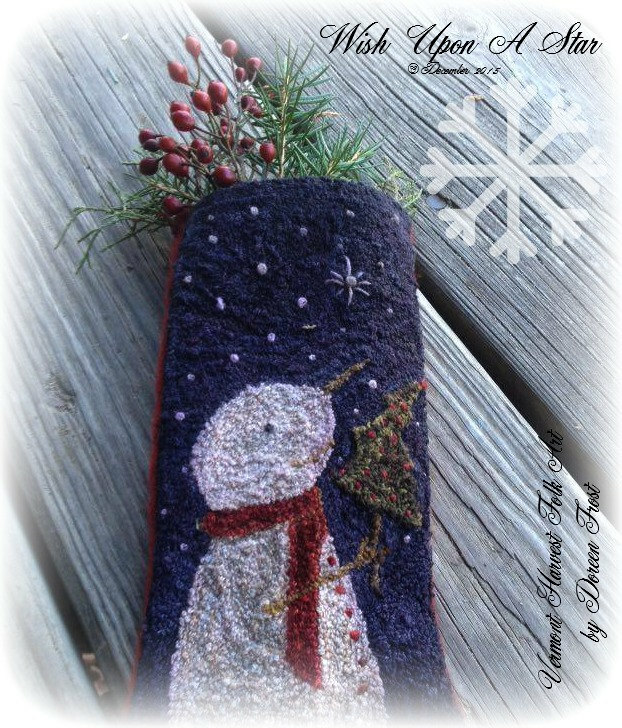 Beautiful Punch Needle design by Doreen Frost- Vermont Harvest Folk Art. 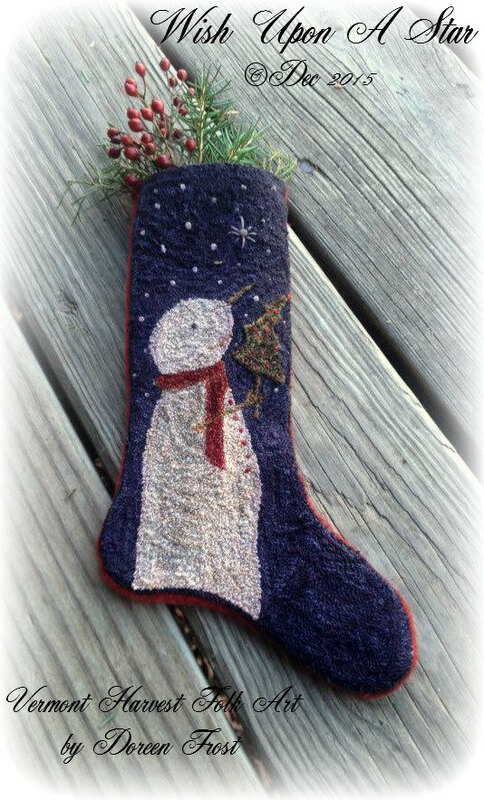 A 9 1/2" x 3" Festive Yuletide Stocking. A sweet little snowman making his midnight Christmas wish upon a star.